My wonderful cousin Kait was pregnant with her first baby and she asked me if I would create something that she can nourish her belly with to keep it supple and help prevent stretch marks. Of course I could make her something! 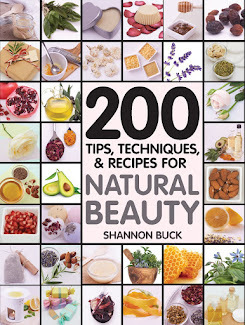 I created a luxurious recipe that contains moisturizing and protecting oils like hemp seed, macadamia nut, baobab, Argan and pomegranate seed oil. 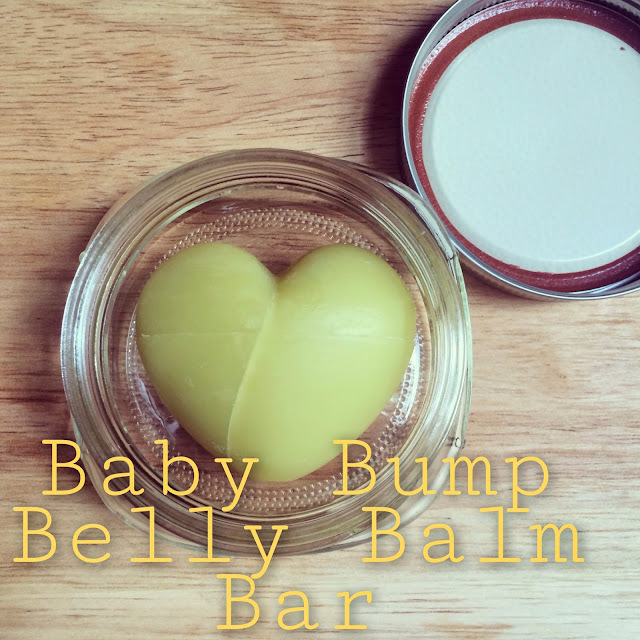 I also added in a generous amount of cocoa butter and some Vitamin E. She can rub this powerful balm bar over her belly to keep her skin supple and help restore her skin's elasticity during her pregnancy. 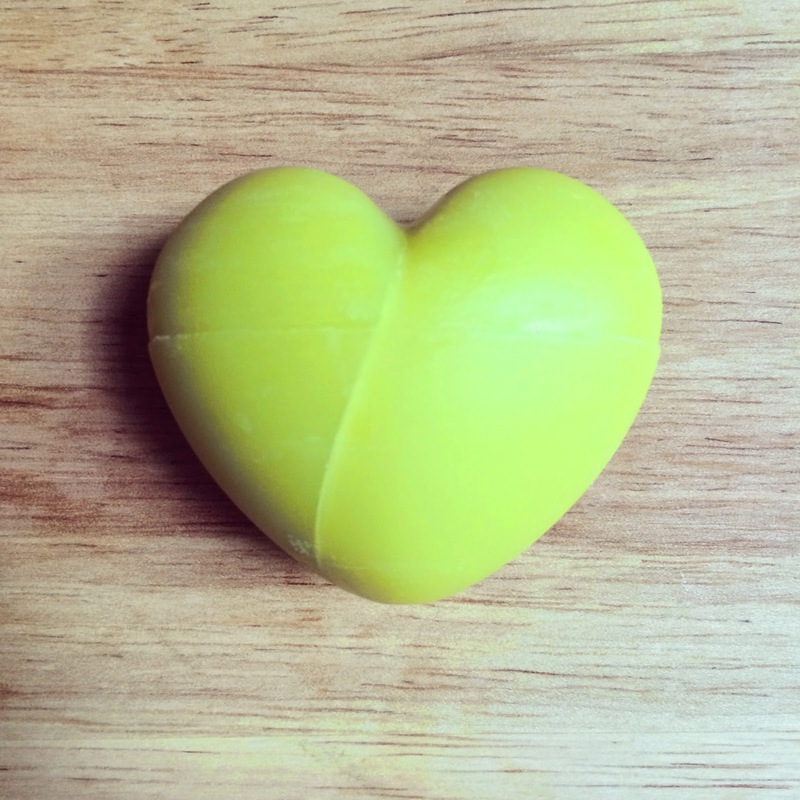 I also made it into an adorable heart shaped bar and put it in a small canning jar just for fun. By the way, can you say "Baby Bump Belly Balm Bar" three times fast? 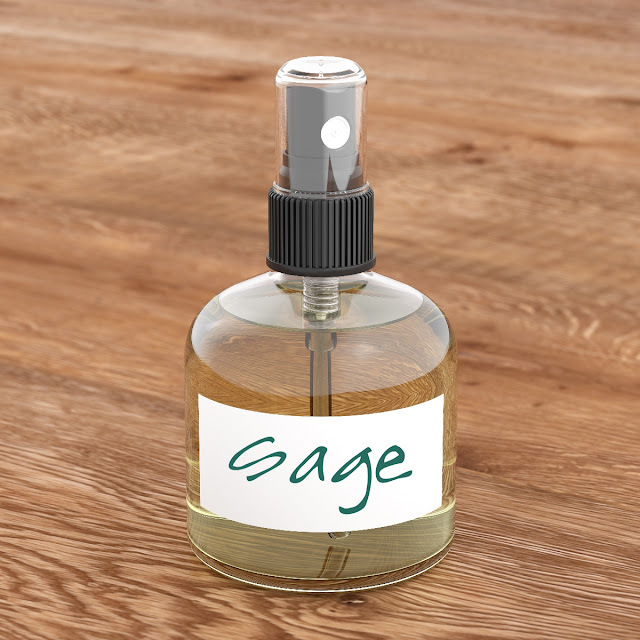 Every single ingredient I used for this formula came from Mountain Rose Herbs. Just about every ingredient I used is Certified Organic too. 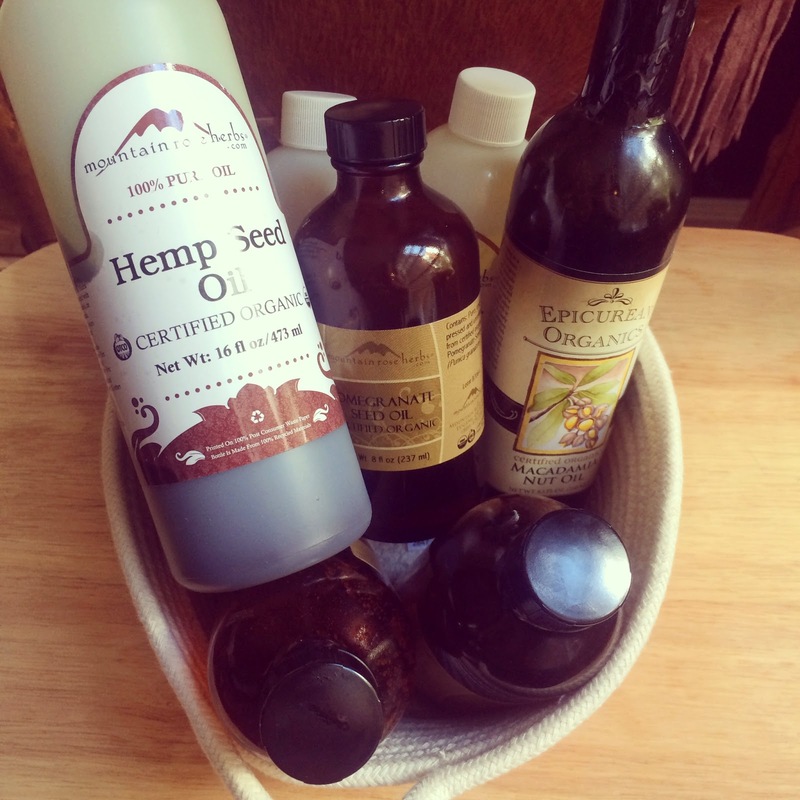 I like the wide selection of carrier oils from Mountain Rose Herbs. Click HERE to be taken to their website. I chose oils that are rich in fatty acids and are good at delivering deep hydration to the skin. The combination of these oils will keep the skin in tip-top shape!!! There are no essential oils in this recipe. First of all, the carrier oils in this recipe are all super special and work wonders on their own. Secondly, many pregnant women should avoid essential oils for safety's sake. This recipe has a decadent cocoa butter aroma to it and smells amazing!!! 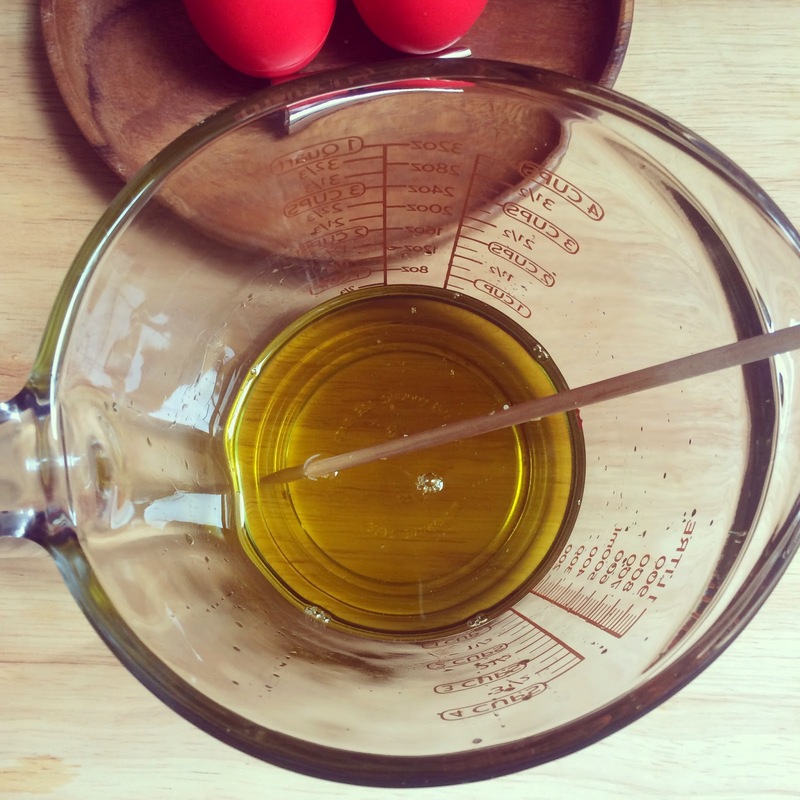 In a large glass measuring cup, add in the beeswax, carnauba wax, cocoa butter, hemp seed oil, macadamia nut oil, baobab oil and meadowfoam seed oil. 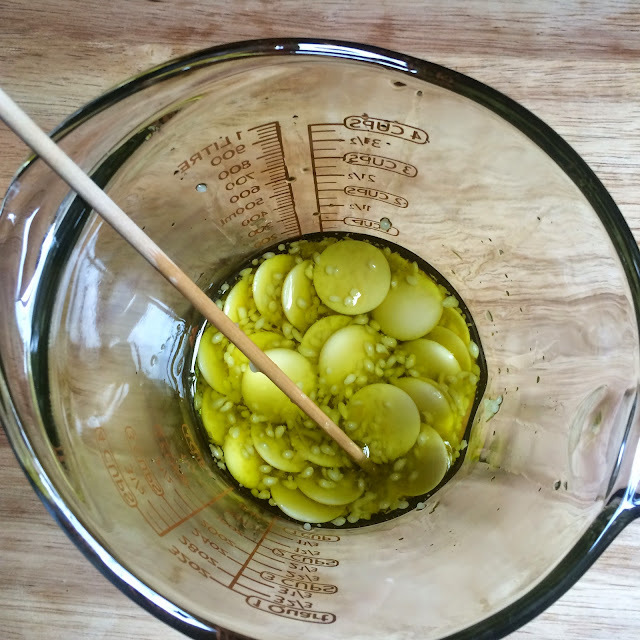 Place the measuring cup into a pan with a few inches of simmering water. Occasionally stir the ingredients until fully melted. Add in the Argan oil, Pomegranate seed oil and Vitamin E oil. Stir to melt all ingredients. Remove from heat. I decided to make my bars into fun heart shaped ones. I used two heart shaped ice molds that hold about 1/3 cup of liquid each. You can use any mold you like for this recipe. 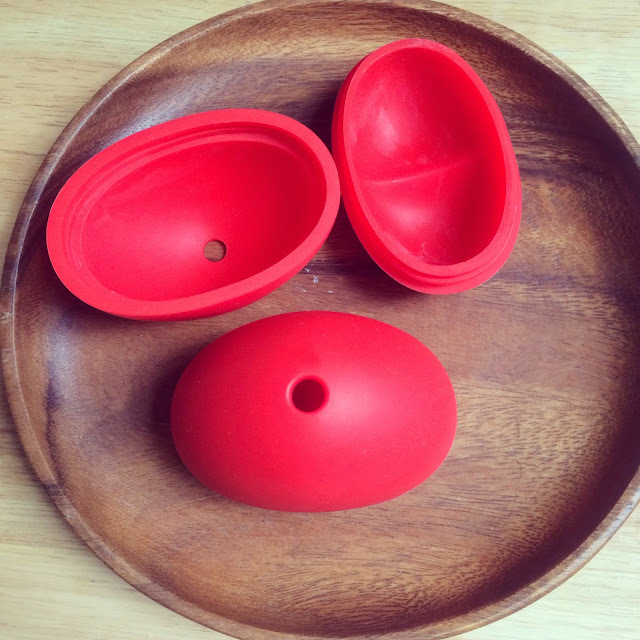 I like the silicone molds as the bars are super easy to remove. Make sure the ingredients are nice and melted. I used a frosting tip as a small funnel to make it easy to pour my melted liquid into the heart shaped mold. I filled them to the very top of the mold and allowed them to cool at room temperature until fully hardened. 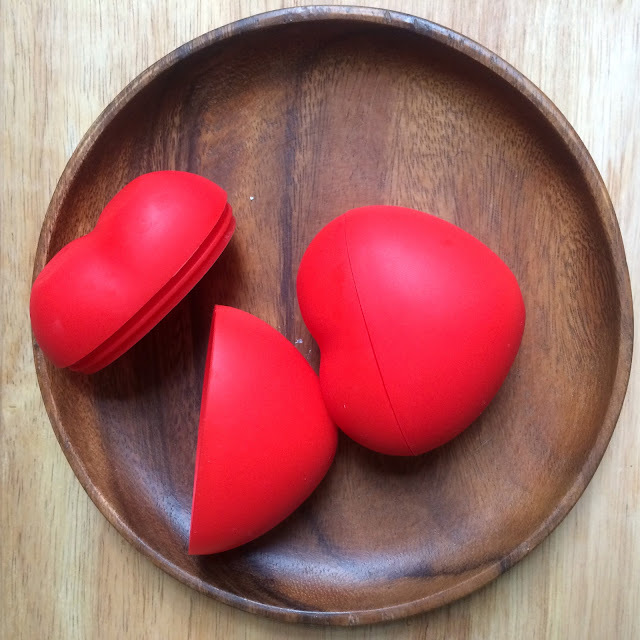 I slipped the top off and I had a perfect heart shaped baby bump belly balm bar just waiting for me. My bar developed a tiny hairline crack while it cooled. It is still super perfect and I can't wait to present this to my cousin. Remember I said I made two bars.....well one is for me. No, I am not pregnant, but I do like to keep my skin super soft and moisturized. This recipe would also make a wonderful hostess gift for a baby shower! You can also make mini heart shaped bars and present every guest at a baby shower their very own. 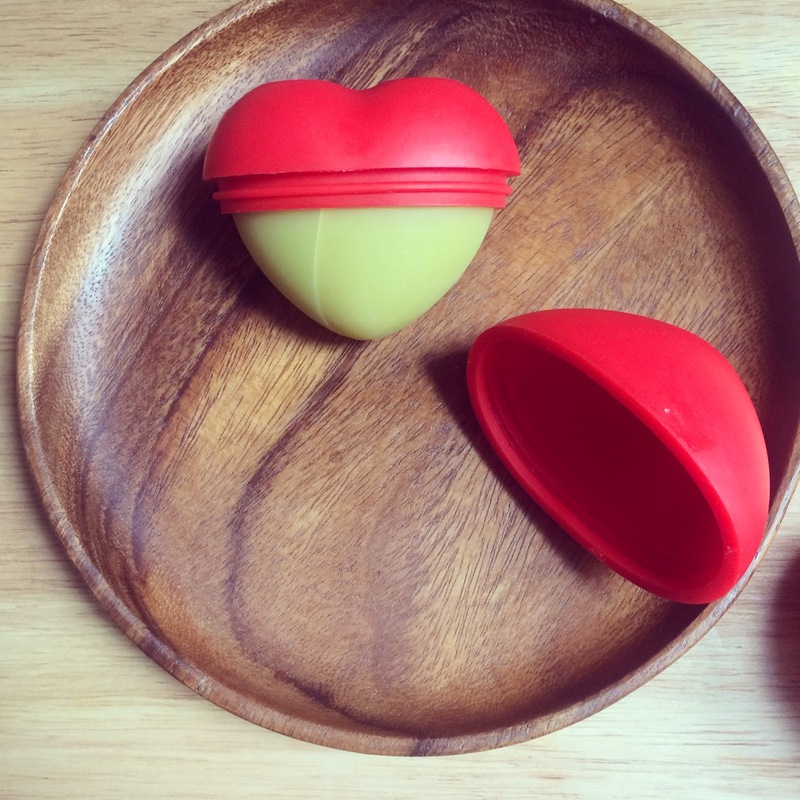 This also makes a wonderful lip balm recipe when used to fill up lip balm tubes.